It has become a growing tradition that the as yet expanding craft beer industry will produce a selection of labels for the Christmas Holiday marketplace. 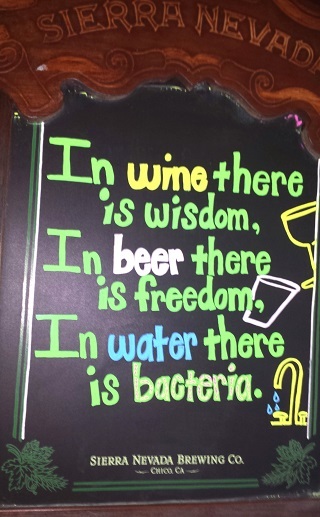 The good news is there are options out there beyond the flood of IPAs choking the shelves these days. While some of these options represent little more than novelty packaging, there are many quality selections for beer lovers and those who enjoy various styles. Best of all, the types to be found serve as nice complements to a smoke. Personally, I infrequently pair a decent beer with a cigar, because I find many craft brews lose their character and flavor against the tobacco. But winter in general – and Christmas in particular – manages to offer up numerous choices that actually hold up well. You begin to find heartier styles, spicier flavors and stronger content – all which means you can enjoy two worlds at once. Charleston Beer Week is a week-long beer extravaganza that’s held during the second week of September each year. Bars, restaurants and local breweries in the Greater Charleston Metropolitan Area host events like tap takeovers, haunted pub crawls, food and beer pairing seminars, and even pig pick-ins and haunted pub crawls. There are several events scattered about town each night, making it easy to for everyone to find something to try. I’ve been to one or two of the individual events before. But this year, I decided to try and take better advantage of what Charleston and Beer Week have to offer. Join Cigar Weekly's Brad Slager (MartiniShark) as he delves into the world of milk stouts, and offers a few tasty recommendations for beer aficionados. While not necessarily elitist, drinkers of Guinness can still be a passionate lot. I have encountered many who swear by their choice. At times, they adhere to the dark rich malt elixir with a rock-ribbed devotion, touting its benefits over many other beers even as they declare that some people cannot handle the heft, the taste or the strength of Guinness. The only problem? Better, more potent and flavorful choices abound in the side category with 'cows on the label'. From my samplings of Guinness, I've always felt this legendary beer was actually wan in flavor, mostly chalky and surprisingly lightweight. In fact, I have found many porters that offer up more complex profiles. 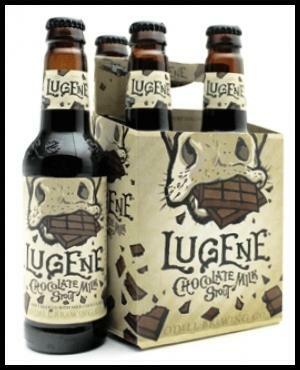 But for overall pleasure from a full bodied brew, I always trend towards the sub-group known as milk stout. While Guiness makes promises, milk stout delivers. This time of year provides no shortage of celebrations and traditions. If you are the sort who savors quality craft beers as much as you cherish tobacco rolls, then there is another ritual you should plan to add to your next holiday lineup. 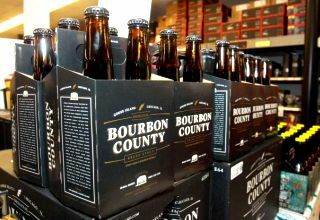 Once a year, Goose Island Brewery releases very limited batches of coveted Bourbon cask aged stouts. 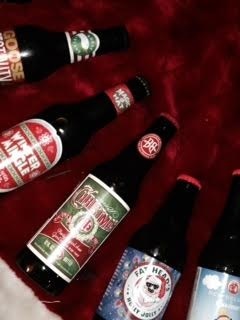 These beers are the kind of bottled bliss you need to seek out as a holiday gift – to yourself. Follow Cigar Weekly Managing Editor Doug Kuebler (jazznut) on a ‘bottle by bottle’ journey through Spain’s Rioja wine region. Spain, which boasts the greatest total area planted to grapevines of any nation on earth (though not the largest production of wine), is truly a happening place for any wine aficionado. Bierzo, Calatayud, Jumilla, Priorat, Rías Baixas, Ribero del Duero, Somontano, Toro, Yecla (to name but a few) – the list of officially demarcated Spanish winegrowing regions seems to lengthen almost day by day. Yet, when it comes to quality table wine, a single historic province continues to capture the attention of consumers, both in Spain and abroad – Rioja.